One of the more commonly used veggies in the world is cabbage. It has been around for thousands of years in many different cultures. Maybe it's because of its availability and its health benefits. You might be curious as to why this vegetable is a superfood? It seems plain, doesn’t it? But as the saying goes, "don't judge a book by its cover". Despite its humble appearance, this vegetable has so much more to offer than you think. 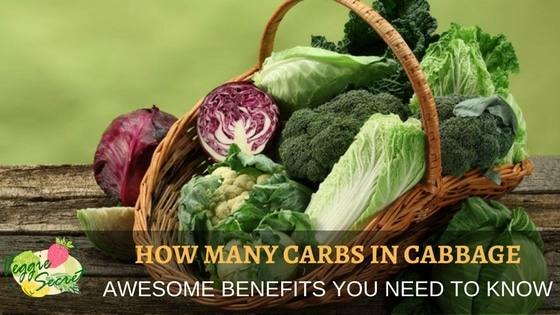 We’ll talk about how many carbs in cabbage there are in common serving size and its health benefits. You’ll also learn tips on shopping and preparing cabbage. Cabbage falls under a group of vegetables called Cruciferous Vegetables which includes broccoli, cauliflower, kale, arugula, watercress, etc. Cruciferous vegetables are known to have high content in Vitamin A and C. Furthermore, it's also rich in folic acid, and fiber than any other vegetable group. There are many different kinds of cabbages. They generally have the same nutritional contents but slightly different values. Cabbages are low in protein and are mainly composed of carbohydrates. However, even with the total carbohydrate content, it is still considered for a low-carb diet. Like other leafy vegetables, cabbage is high in fiber, vitamin C and calcium. It’s also an excellent source of vitamin A, K, B1, B2, and B6. The icing on the cake is that cabbages contain phytonutrients, which help prevent cancer. This vegetable proves to be impressive, even among the other cruciferous vegetables. In one cup of raw shredded common cabbage, there are about 4 grams of carbs and 2 grams of dietary fiber. It contains about 1 percent vitamin A, 3 percent calcium, 43 percent vitamin C and 2 percent iron. There is a slight difference between red and green cabbages. 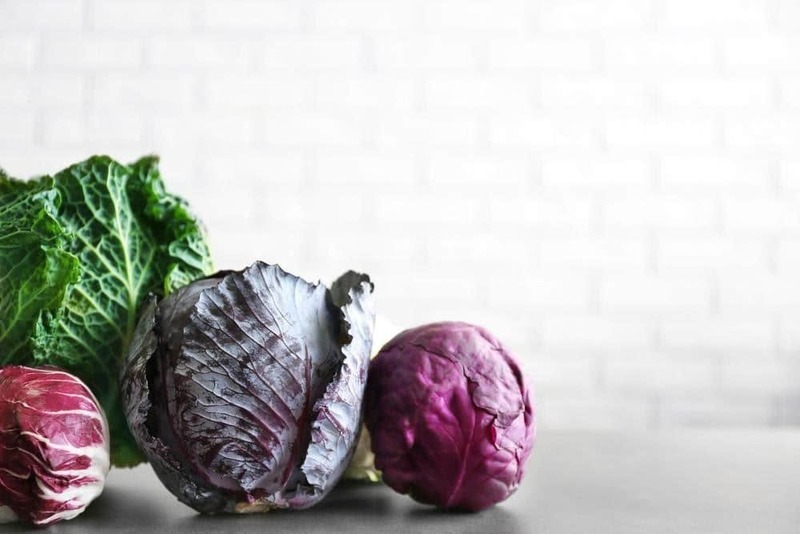 Red ones are slightly higher in carbohydrate and vitamin C.
How exactly is cabbage going to affect your health? So what about the nutritional profile and values? 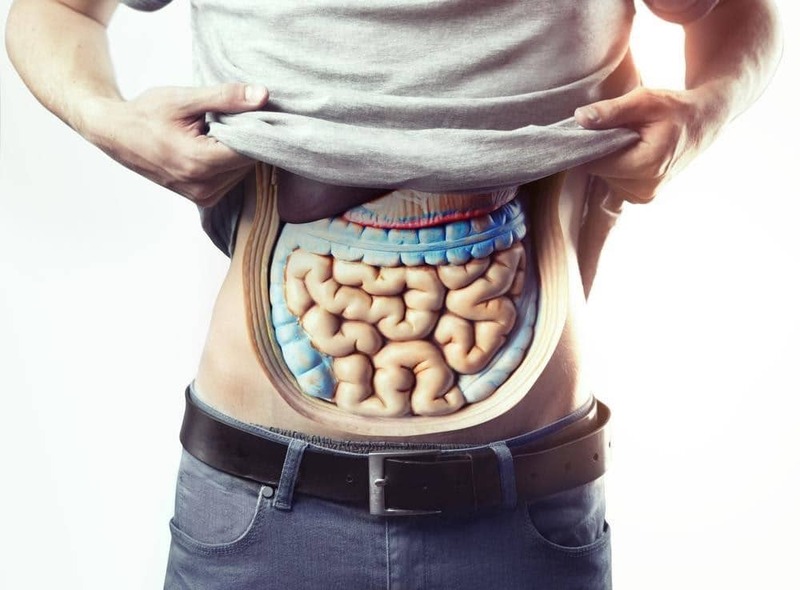 The body is composed of amazing and complex organs and systems. It has certain needs to achieve optimum health. For example, your body needs iron in the blood for better oxygenation. You will also need vitamin C to boost immunity, and calcium for healthy, strong bones and muscles. Any deficiency of these things in the body is going to result in illness, weakness and other health related problems. Cabbage is a rich source of fiber. Dietary fiber is the bulk of the food that cannot be digested. It passes through the digestive tract until expelled out of the body in the form of stool. It is necessary for a healthy digestive system because it prevents constipation. Fiber promotes a healthy bowel movement and a clean gastrointestinal tract. Inflammation is one way our body responds to something wrong. It could be an infection, an injury or a chemical reaction. Some conditions show signs of inflammation such as arthritis, bronchitis, conjunctivitis, and other "itis" ending diseases. The visual manifestations are swelling, redness, and warmth. In addition, inflammations are painful and can cause immobility. Without anti-inflammatory agents, inflammations could turn into a chronic problem. Therefore, since cabbage contains anti-inflammatory contents, it is a great food choice to help to control inflammations. Antioxidants are substances that help prevent cell damage. You can find a lot of these in fruites and vegetables. Cabbage happens to be very rich in it. Insufficiency in antioxidants increases the risk of cancer in a person. Since cabbage contains anti-inflammatory agents and antioxidants, it helps in significantly reducing the potential for cancer. To add to that, cabbage is also a rich source of phytonutrient. These nutrients are used by the body and contain detoxifying and anti-cancer properties. These are just some of the health benefits of eating cabbage. Of course, for greater benefits, it has to match other healthy choices. When choosing cabbage, make sure the leaves are crisp and firm. Leaves should be shiny and free of bruises as well. There should only be a few loose leave because loose leaves indicate that it's older and not as fresh as you want it to be. To get the most of its nutritional benefits, avoid buying precut or shredded cabbage. If you do but pre-cut, always check the date of preparation. Vitamin contents degrade quicker once cut, so use it as soon as possible. When storing cabbage, tightly cover with plastic wrap and refrigerate. This will remain good for about two weeks, but remember that the fresher, the more potent the nutrients are. You can eat cabbage raw, sautéed, boiled, steamed, or stuffed. It’s very delicate so you don’t need to cook it for long. You will know that you are overcooking it when you smell a sulfurous odor. When preparing the cabbage, first take out the outer layers of leaves. The outer leaves protect the insides but you still might want to wash it under running water. 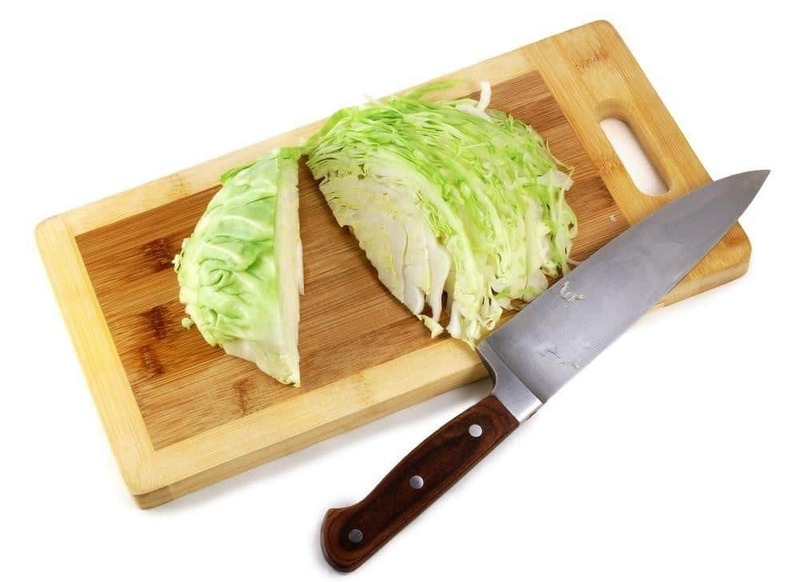 When cutting cabbage, start by cutting it in half through the core. Then you can cut each half through the core again, making the core easier to slice out. Finally, you can cut the quarters into strips according to how you thick or thin you like it. When cooking this superfood, you have to remember that minimal or no cooking will get you the highest nutritional value. There are lots of different recipes that makes it tastier while still maximizes its health benefits. If you don't already have cabbage in your diet, then now is definitely the time to start! It's a very practical vegetable to have because it's inexpensive, stores well, and available year-round. Finally, it has amazing benefits for your health. Make sure you put it on your grocery list!